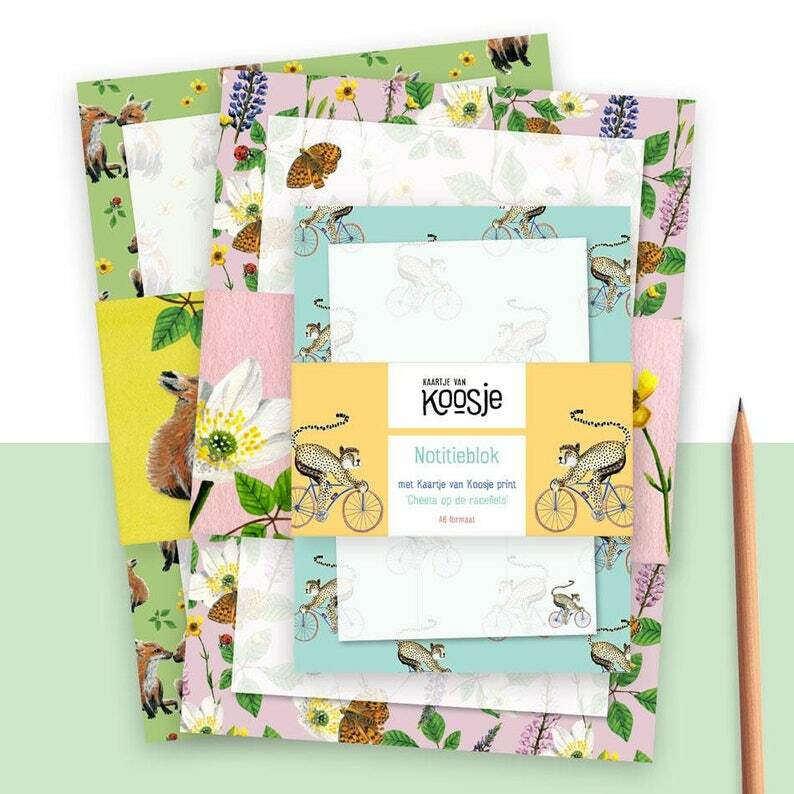 These cheerful notebooks can be used to write letters to friends or to jot down notes, to do lists, the messages, a thought or a beautiful spell. Also nice for a personal message at a gift. The original is painted with gouache or watercolor and color pencil. The hand-painted illustrations can also be found on a number of maps in our webshop (A6). Note blocks contain 50 sheets. I love these notebooks! I always have one laying on the coffee table to take notes. Een kadootje in de brievenbus! Super mooi verpakt en de blokjes zijn echt super mooi! Dank je wel!